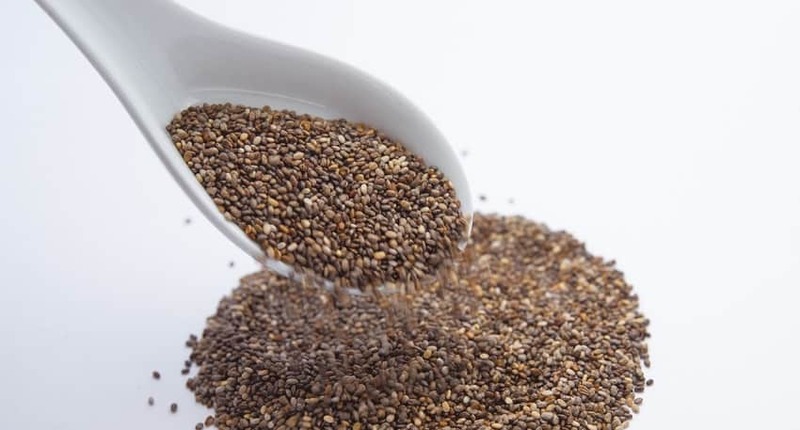 Have you heard of the numerous benefits of sesame seed oil for hair growth? Well, you don’t have to border yourself about that as we’ve listed them here so you’ll know the miracle it can perform on your precious hair. Sesame seed oil, popularly shortened to Sesame oil is given the name “Gingelly oil”. Over the years, it has been seen to be quite healing, nourishing and lubricating. A common flavor enriching cooking oil, this wonder oil boasts of numerous hair beauty benefits as well. This oil has been discovered over 5000 years ago. History has it that it was raised in India and later exported to Mesopotamia at about 2500 BC. Sesame oil has many modern day hair health benefits as a result of its rich composition of B complex, Vitamin E, minerals such as Phosphorus, Calcium, Magnesium as well as Protein which strengthens the human hair at the roots with deep nourishment. It is the companion of anyone who cares about his or hair looks. 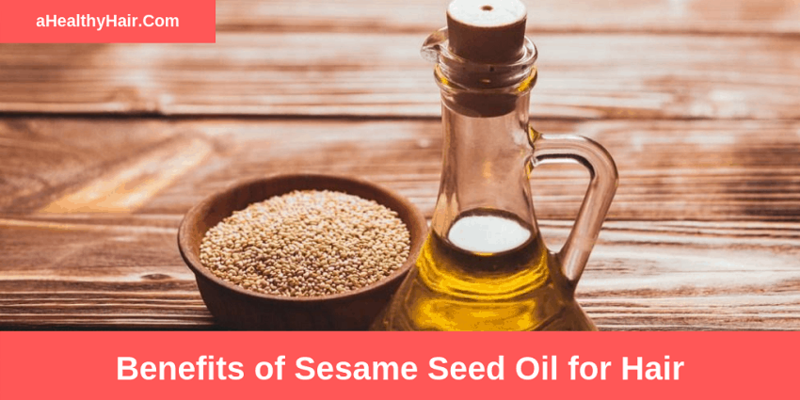 Sesame oil is an edible vegetable oil that’s gotten from little yellow-beige colored seeds. The oil is light yellow in color and has a slippery oily texture with a lovely nutty flavor. Sesame oil is used for centuries to flavor a variety of dishes. Even though Sesame oil is somewhat popular today, its production is still primarily limited to Asia, as the harvesting process of the oil is not yet efficient. Sesame seeds are found within a hard capsule, which only opens when the seeds have ripened fully. The time of ripe usually fluctuates, hence, farmers often help facilitate the process by cutting the plants by hand – and storing them in an upright position so they can fully ripe for use. Finally, sesame seeds are mostly grown in developing countries, which is why no technology has been introduced to fully automate the harvesting process. 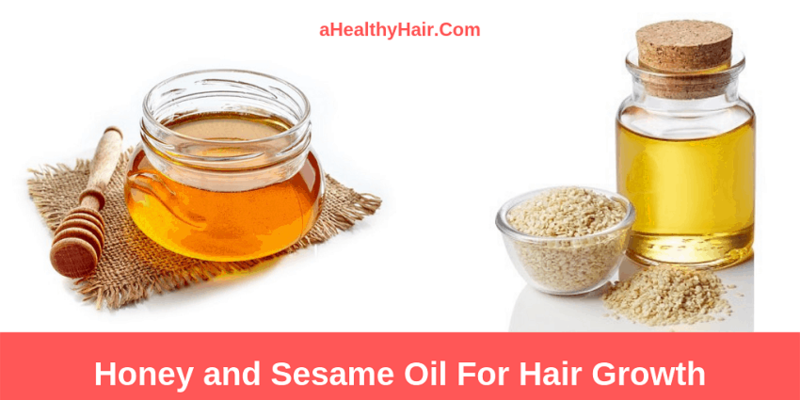 What Makes Sesame Oil Effective for Hair Growth? Sesame oil is fortified with fatty acids that make it really effective for hair growth. It has some stearic acid, linoleic acid, palmitic acid, and oleic acid content among others. The linoleic and oleic fatty acids content account for about 85% of the fatty acids in sesame oil. 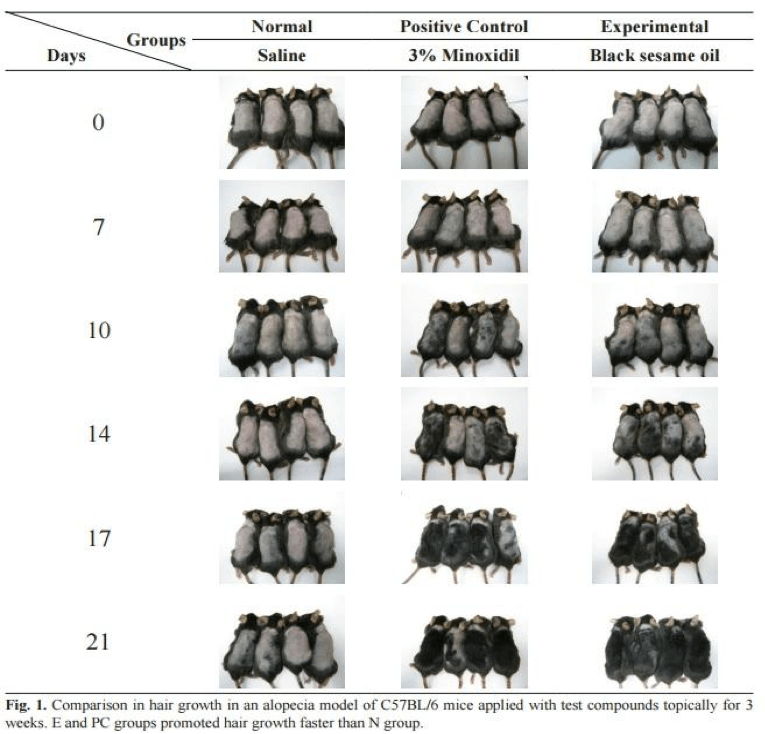 Aside from a high content of fatty acid, sesame oil equally contains a substantial amount of vitamins E and K.
In a study with mice carried out at Keimyung University in 2010, and was published in the Journal of Biomedical Research, sesame oil proved to be equal (if not more effective than) minoxidil for hair regrowth. In the study, 5-week-old mice were split into 3 groups. 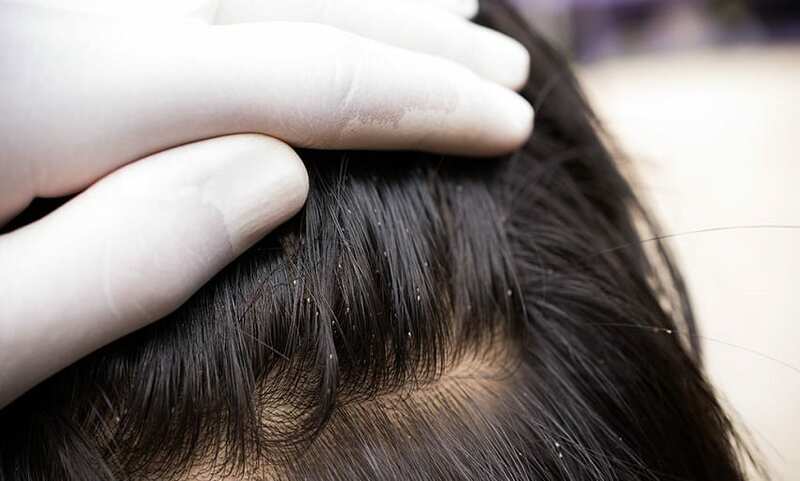 The 1st group got a topical application of saline – the 2nd group got a topical application of 3% Minoxidil (Rogaine) (world’s most popular topical hair loss treatment and takes about 4 months to produce result) – and the 3rd group got a topical application of black sesame oil. The applications were carried out once daily, and 6 days per week. Here, we’re basically going to discuss the 10 benefits of sesame oil for thicker hair, after which we’ll also talk about how to use sesame oil for hair growth. 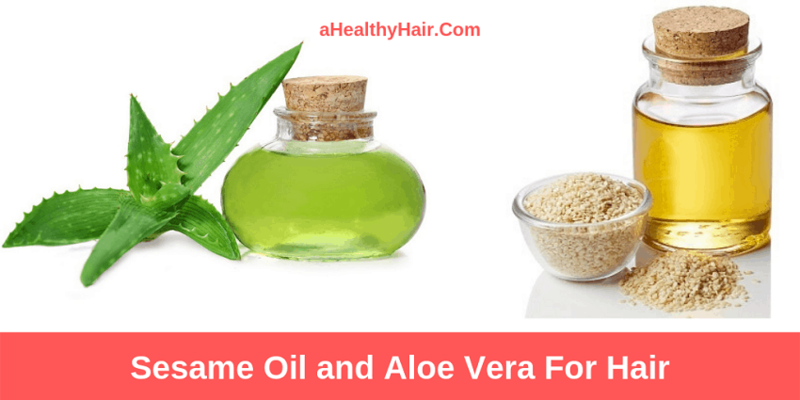 I will, therefore, urge you to read this article till the end as you have a lot to learn about sesame seed oil for hair growth. The “Gingelly oil” offers soothing effects on a scalp suffering from damage caused by hair dryer or diseases. Sesame oil can work to soothe the discomforting sensation from dandruff and dryness. The oil’s cooling properties can be helpful to anyone who blow-dries his or her hair daily. It absorbs the moisture and goes on to protect the scalp and hair from damage. People with dandruff have relief as Sesame oil can also offer moisturizing properties as well as calm the itch which dry flakes produce. Its fatty acids plus vitamins content will also work on killing off fungus responsible for dandruff. Hair follicle aging can be avoided with the use of Sesame oil which is made possible due to its vitamin and fatty acid content. With the good use of Sesame oil, natural hair color can be easily retained. Darkening of hair is seen to be a possibility when hair is exposed to Sesame oil. The hair health is highly improved by the vitamins and fatty acids. Applying the Sesame oil on the hair naturally offers protection from the Ultraviolet radiation of the sun for the scalp and the hair. This feature of the Sesame oil stops the hair from being impaired by rays of the sun after prolonged exposure when outdoors. This oil offers a protective shield around the shaft of the hair. It simply acts as sunscreen on the hair as it is easily absorbed into the hair. The destructive effects of pollution can be eliminated with this oil. Sesame oil can be beneficial to the hair as it encourages scalp blood circulation which helps to boost the growth of the hair follicles and shafts. Sesame oil can as well penetrate down into hair follicles and eliminate destructing effects of chemicals in conditioners and shampoos. It works wonders in improving hair growth when used as oil treatment at high temperature. This treatment could be used directly on the scalp and later washed off 20 minutes after. Sesame oil acts as a natural moisturizer on the scalp and hair. It can make the hair look shiny if used as styling support as well as benefiting the hair if used as leave-in hair conditioner. The oil is impressively very suitable for every hair type. Anyone with damaged hair can have the oil rejuvenate it and make it look finer if Sesame oil is introduced to it. Sesame oil has the potential to be used in fighting regular dryness and can be applied to people whose hair are normal but desire a little extra moisture without the use of hair conditioners bought from the stores. 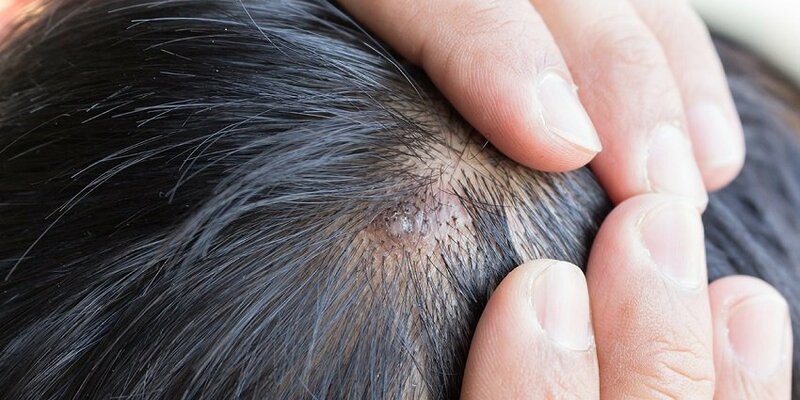 The oil has proven to be able to revive scalp and hair that have been destroyed as a result of exposure to heated appliances or over-styling. When the hair requires extra help, Sesame oil is easily used as an overnight deep-reaching conditioning oil cure (treatment). The oil simply washes off the hair at the break of dawn. Sesame oil can do the amazing work of fighting the loss of hair. Numerous reasons abound for loss of hair; they range from aging, down to disease and stress. Strands of hair can fall out as a result of over-styling of hair. It can assist to fight these conditions as well as repair the roots of the hair to a usual growth rate. The oil when used with a carrier oil and essential oils has the capacity for combating head lice. 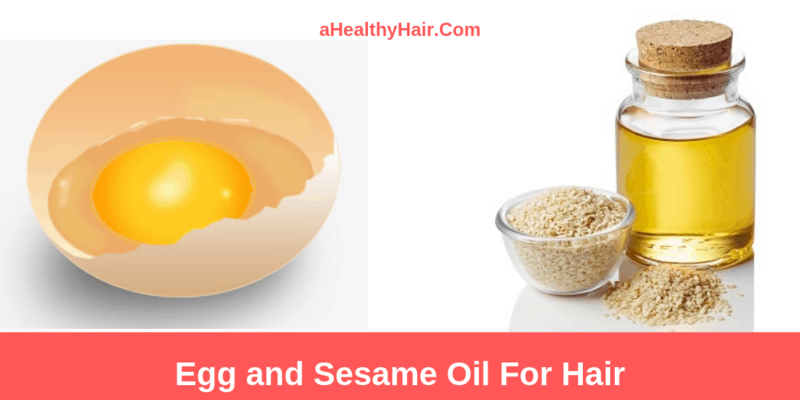 Sesame oil has the potency to crush head lice, as the essential oils work on killing eggs in any part of the hair. This treatment can stay on the hair for about twenty minutes and can be washed off with shampoo. This means of dealing with head lice is a better natural way of treating the hair without the use of damaging pesticides on the hair. It is such an amazing natural remedy for the embarrassing head lice without side effects. This oil fits very adequately as a hair mask. When mixed with Turmeric and Yoghurt, it will work well as a hair mask. This helps to deal with dandruff while nourishing the hair at the same time. It’s a natural option of making a hair mask. Some drops of the oil on dry hair will go a long way in giving it some shine. Ensure that excess of the oil is not used so that the oil does not end up appearing oily. 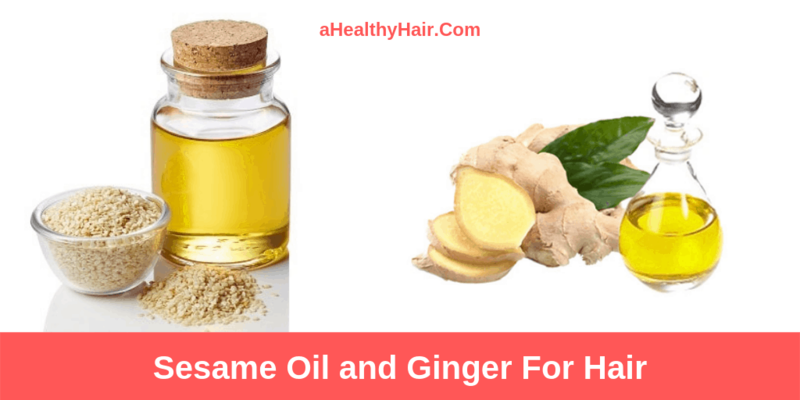 Someone who is battling with split ends can get a solution in Sesame oil. When ends of the hair is immersed in Sesame oil, the split ends can be dealt with rightly, due to its rejuvenating features. After this process, it’s imperative that the hair is washed with mild shampoo- the type that won’t wash away the nutrients of the Sesame oil. Next time you think about Sesame oil, think about the health benefits it gives to your threatened or falling hairs. When used judiciously and in the right way, it can easily change your story and boost your self-confidence by adding the needed sheen to your hair. 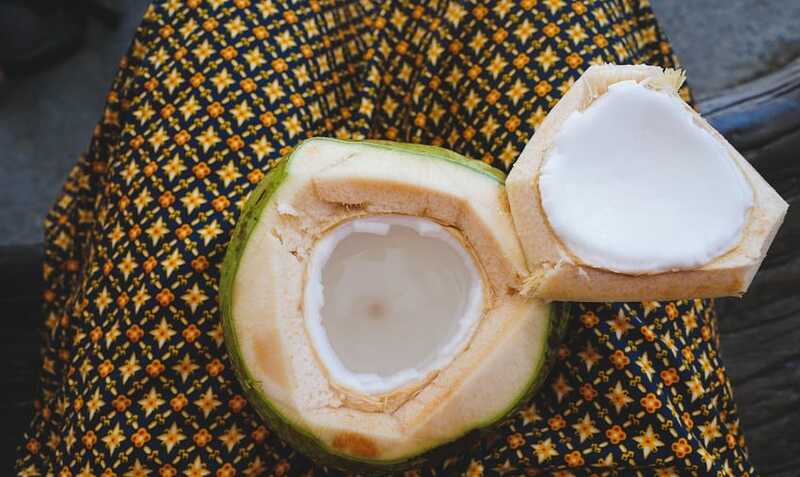 In case you don’t know, Coconut oil is the most penetrative oil for hair. It helps to condition your hair and control frizz. Its rich content of fatty acids also helps to deeply nourish your hair shafts. Mix the sesame and coconut oil in a bowl. With your fingertips, massage the oil religiously into your scalp and into your hair, and make sure it covers all the length of your hair when you’re done. Once your hair is totally covered in the oil mixture, use a hot towel to wrap it – you can easily heat up a towel by wetting it in a hot water. Leave it on for 30-40 minutes and then rinse the oil out with a mild shampoo. Repeat this process up to 3 times a week for the best result. Sesame oil and aloe vera are 2 ingredients that reflect the harmful ultraviolet (UV) rays of the sun. Regular use of this mixture will form a protective block around your hair shaft, to help prevent sun damage. Combine the sesame oil and aloe vera gel in a saucepan and heat it for a few minutes, and then allow it to cool. Apply the mixture to your scalp and hair and leave it for about 30 to 45 minutes. After 30-45 minutes, wash it off with a mild shampoo, and that’s all. It’s necessary to repeat this up to 3x per week for the best outcome. Ginger is an excellent and effective conditioner for hair – it helps to soften your hair while also adding shine to it. Apart from that, Ginger is equally an amazing ingredient for maintaining scalp health. Constant use of this solution will ensure a thicker and healthier hair. Mix the ginger juice and the sesame oil in a bowl. With your fingertips, massage the oil combination into your scalp and your hair – and make sure that the mixture covers the whole length of your hair when you’re done. Wrap your hair with a hot towel once it’s covered in the oil mixture. Leave it on for about 30 to 40 minutes and then rinse the oil out using a mild shampoo. Repeat this up to 3 times per week for the best result. Almond oil is a rich source of magnesium, omega-3 fatty acids, vitamin E, and phospholipids – it helps to condition your hair properly without weighing it down. Mix the almond oil and the sesame oil in a sizable bowl. With your fingertips, massage the oil into your scalp religiously and also work it into your hair. Most importantly, you want to make sure that the mixture covers the entire length of your hair when you’re done. Wrap your hair with a hot towel once it’s covered in the oil mixture. Allow it to settle for about 30 to 40 minutes and then use a mild shampoo to rinse the oil out. Like the other ones, try to repeat this up to 3 times per week for a better result. Egg is obviously one of the richest sources of protein out there. This remedy will curb protein damage in your hair shafts to a significant extent, making them stronger and healthier. It’ll equally help to make your hair soft, shiny, and keeps it well conditioned. Adequately mix the oil with the egg(s) to form a consistent combination. Apply the solution to your scalp and hair and let it settle for about 30 minutes. Using cool water, wash off the egg pack after 30 minutes. NOTE: Don’t use hot or warm water to avoid cooking the egg. Repeat this for about twice a week for the best result. Honey is generally known for its soothing effects on the hair – and it also helps to seal moisture in your hair. Interestingly, this is one of the best conditioning treatments you could ever use for your hair. 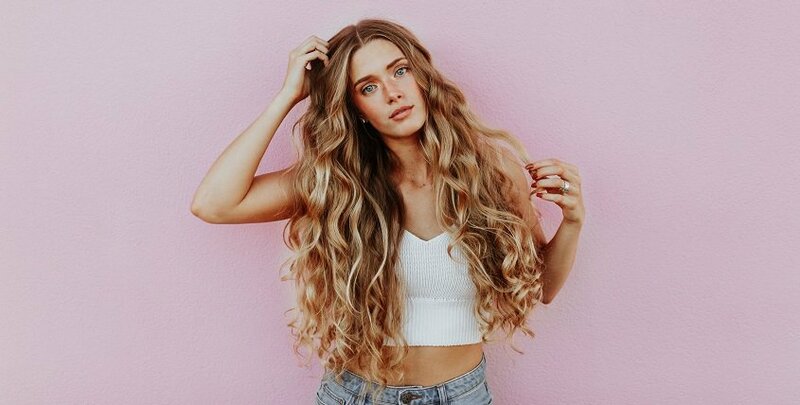 However, do not use this too often if you prefer maintaining a dark hair as honey is a bleaching agent that can lighten the color of your hair with regular use. Mix the honey and the sesame oil in a bowl. With your fingertips, massage the mixture into your scalp and your hair, making sure the entire length of your hair is well covered when you’re done. Wrap your hair with a hot towel once it’s covered in the honey oil blend – then leave it for about 40 minutes and rinse out the oil with a mild shampoo. Do this once per week for the best outcome. 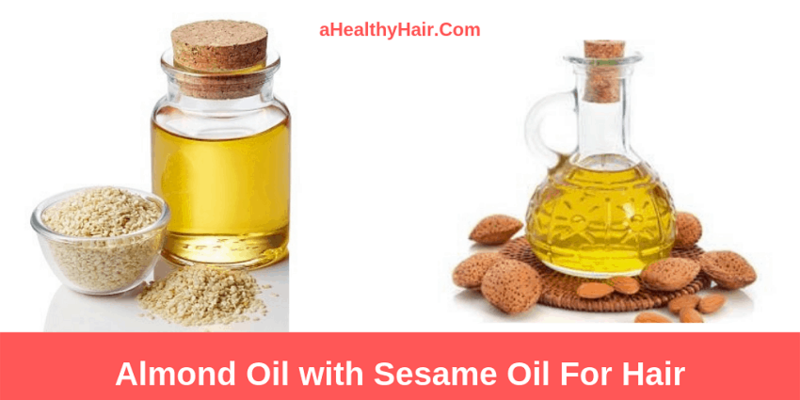 There are numerous benefits of sesame seed oil for hair, and I suggest you check it out now and see what changes it’ll make on your hair. And when it comes to natural oils, there are a variety of choices you can use to enhance the growth and beauty of your hair. Many people use sesame oil as it smells good and has a light and smooth consistency. If your scalp, hair, or skin needs some help with curbing dryness or irritation, you should perhaps give sesame oil a shot. Soon you will find out how your hair looks lovely, smooth, and soft and is easier to style, while your skin looks radiant and healthy. Now tell me, have you ever used sesame oil for thicker hair before? Tell us about your experience in the comment section below.